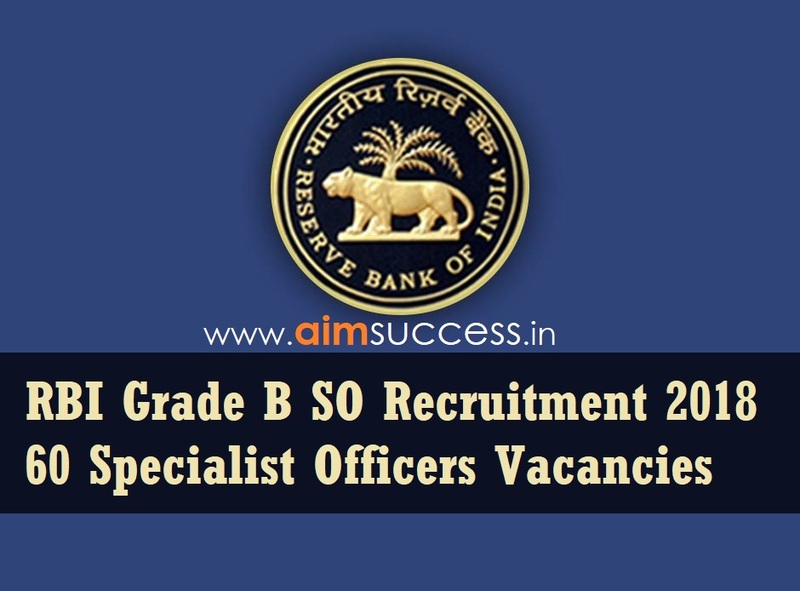 RBI Grade B SO Recruitment 2018: The Reserve Bank of India (RBI) has released the Direct Recruitment for the posts of Specialists in Grade ‘B’ in Common Seniority Group (CSG) Streams – RBI Grade B Specialist Officers Recruitment 2018 against 60 Vacancies. All the Eligible candidates can apply for the same from the link given below. Application Starts from 17 August 2018: Reserve Bank of India Service Board, Mumbai invited applications for the post Specialist. Eligible candidates can apply for the post in the prescribed format on or before 07 September 2018. Risk Modelling 12 (8-UR, 1-SC, 3-OBC) i) 2 year full time MBA (Finance) / M.Stat from an Indian University recognized by Government bodies/ AICTE or a similar Foreign University /Institute, with at least 55% marks. Professional Copy Editing 04 (3-UR, 1-OBC) i) Full time Post Graduate Degree in English from an Indian University recognized by Government bodies or a Foreign University /Institute, with at least 55% marks. Human Resource Management 04 (3-UR, 1-OBC) i) Full time Post Graduate Diploma/ Master’s Degree in Human Resource Management / Personnel Management/Industrial Relations/ Labour Welfare from a recognised Indian or Foreign University /Institute with at least 55% marks. The eligible candidates can apply online through online through Bank's website www.rbi.org.in.from17 August 2018 to 07 September 2018.